Aculife Vinyl Eye Patch permits eye movement. Protects eye from further irritation. One size fits all. Color Black. 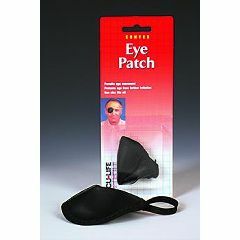 Is the adult eye patch concave or flat? Need a flat one so glasses will fit properly and not hinder the vision in the other eye.